Taking some time visit various neighborhoods is a great place to begin in your search for where you want to buy your WDC home. 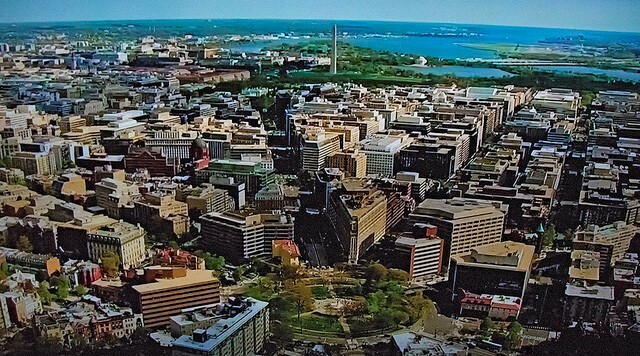 It’s also an excellent way to discover the vast diversity which is at the heart of WDC itself, from different architecture styles, cultures, entertainment and community connections. 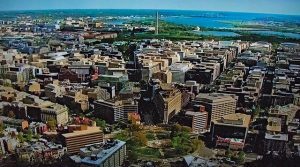 Listed below are a few of the top neighborhoods with the ‘It factor’ in Washington DC just waiting for you to explore and experience what they’re all about. Dupont Circle has it all. With historic architecture, a vibrant nightlife, excellent eateries and local spots for coffee or a brew while spending time out with friends. Add to it a range of shops, bookstores, galleries and boutiques, this is an urban village extraordinaire. The iconic marker of this neighborhood, Dupont Circle is the community center where on any given day you may find a chess tournament happening or political rally. Dupont Circle is also home to the nation’s first museum of modern art, Phillips Collection which includes works by some of the best names known in art such as Monet and Renoir. Life in Dupont Circle includes the FreshFarm Market which is open April through December each year. This is also home to a unique piece of American history, Anderson House. This baronial Beaux Arts style mansion is home to the oldest historic organization of WDC, the Society of the Cincinnati which was founded right after the revolution. Georgetown is a beautiful neighborhood rich in it’s historic past yet full of modern luxury. 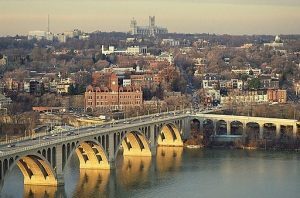 With top-rated restaurants and a variety of shopping choices including home designer shops, you can readily find the finer things of life in Georgetown. You can also find incredible examples of 18th and 19th century mansions alongside the cobbled streets, history is alive in this neighborhood. By day Georgetown Waterfront park is the place to be for some of the best scenic views in WDC, ideal for cycling, jogging or kayaking on the Potomac. By night enjoy time at one of the waterfront restaurants or bars you can find along Washington Harbor; an evening meal with incredible views, add some live music and it’s a great way to spend time out in the neighborhood. Navy Yard Capitol Riverfront and the Southwest Waterfront represent what Washington DC is focusing on in terms of newer developments. Both of these neighborhoods have seen a revitalization happening bringing with it a variety of eateries, breweries and plenty of outdoor activities to enjoy. The Navy Yard is now home to Nationals Park stadium, the Potomac River Boardwalk and Yards Park, excellent places to entertain the entire family. 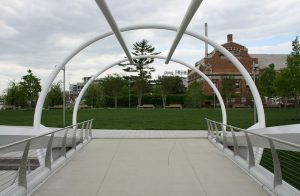 Nearby Canal Park also boasts a winter ice rink and summer movies in the park for year0 round fun. This neighborhood has become known as an ideal place for foodies with an exploding food scene worth checking out. 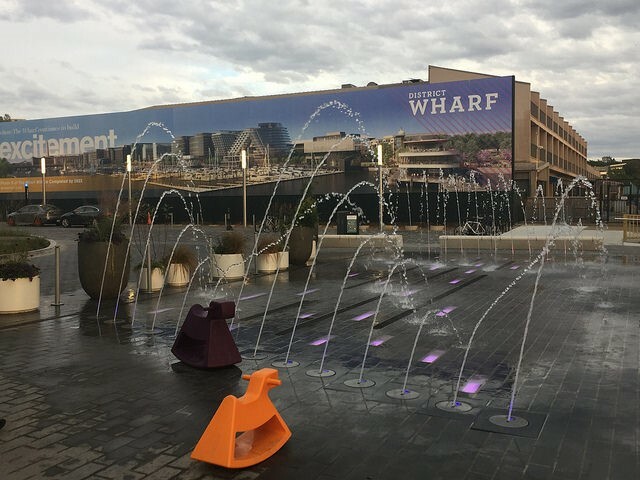 Southwest Waterfront is the smallest neighborhood geographically speak but is an ideal place to get away to the quieter side of WDC life. It’s also home to the nation’s longest running fresh fish open-air market, Maine Avenue Fish Market. The Southwest Waterfront is seeing an uptick in community amenities and appeal with the development of The Wharf, an on-the-water extravaganza of shops, restaurants and entertainment venues alongside condos which opened just last year. This December you can experience the District’s Holiday Boat Parade, always a spectacular event as Southwest Waterfront is home to more liveaboard house boats than any other waterfront on the east coast. Discover more about these neighborhoods at CultureTrip.com. If you’re ready to buy or sell your home call the Realtors® who know local neighborhoods as well as they know the current marketplace. 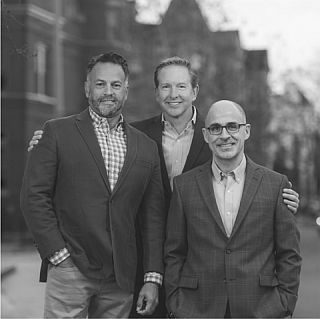 ADMC Realty Group is pleased to serve the communities in and around the Washington DC, Maryland, and Northern Virginia areas. We’re here for you from start to finish. Give us a call at (202)596-8101 or email us at [email protected]. This entry was posted on Friday, November 16th, 2018 at 9:02 pm and is filed under Uncategorized. You can follow any responses to this entry through the RSS 2.0 feed. You can leave a response, or trackback from your own site.